I have no special knowledge about what happened in Orlando this past weekend in which 50 innocent people were murdered and a greater number wounded. It is unimaginably horrific. There are no words. I do not in any way mean to suggest that the Orlando killer was mentally ill. This may have been just an act of evil. Does mental illness cause violence? Yes, but there’s far more to it. And is ease of access to guns the determining factor? It’s a factor but there’s far more to it! … gun violence in all its forms has a social context, and that context is not something that “mental illness” can describe nor that mental health practitioners can be expected to address in isolation. My heart goes out to all those affected by violence. Found it! Well, maybe not! In the January 2016 American Journal of Psychiatry is an article titled Finding the Elusive Psychiatric “Lesion” With 21st-Century Neuroanatomy: A Note of Caution. The first author is Dr. Daniel Weinberger, a big, big name in psychiatry for many, many years. (to learn more about Dr. Weinberger click here). “Before offering our comments (with full acknowledgment that we ourselves have contributed in the past to the very literature that we are now raising questions about), we first advise the reader about the scope of this commentary:”. Wow!!! If you are a psychiatrist or psych resident I highly recommend reading the whole article (sorry but ya gotta pay to read the AJP). If you’re an interested clinician who just wants the short overview click here to read the abstract. I know someone who’s skeptical of medical science, pointing out that what’s recommended this year gets turned on its head the next. This is actually what I love about it – the constant questioning of what is known and what we think we know. I don’t think Weinberger undermines his credibility by pointing out that he is cautioning about work that he “contributed in the past to the very literature that we are now raising questions about”; it enhances his street cred. The human brain is the most complex thing in the universe (that we know of so far). It doesn’t yield its secrets easily. And as far as our understanding the complexity of it, well, as The Carpenters sang, we’ve only just begun. It’s not that all the previous research on structural changes associated with psychiatric illness is bunk. It’s just that we have to proceed carefully, to realize how much we know, especially compared to not long ago and even more importantly, to know the limits of what we know. During my time working in ACT our team had clients die from unintentional drug overdoses, cardiac arrests, an apartment fire and cancers. I doubt this is different from what other teams experience. I wish I could give you hard data for mortality rates for our clients but I don’t have it. In my search for reports on mortality in ACT clients I’ve come up with nothing. We know ACT decreases hospitalizations, increases client and family satisfaction, improves housing stability and has other outcomes. We should know if ACT improves longevity at least relative to individuals not receiving ACT services. There is reason to think it might; ACT has nurses and a team that helps clients connect with and follow up on medical concerns around diabetes and heart disease. I look forward to there being an ACT conference in the not too distant future. Perhaps that would be a setting where teams could share and compare their data. Maybe teams could submit their anonymized data and someone with the requisite number of crunching skills might present it. I hope you’ll consider reading Measuring Up, a previous blog on the importance of gathering and using data. 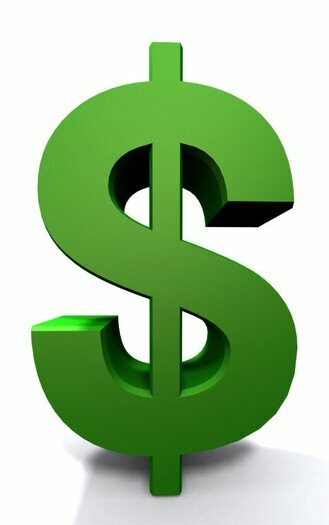 There’s no argument – ACT is expensive! But so is most health care. ACT teams should undoubtedly be accepting individuals with the highest use of hospital resources. But there are other indicators to consider – use of jail or emergency services, co-occurring addictions, functional deficits (which Latimer notes). But what about family burden? I’ve seen situations where an individual has lived in the community for decades without hospitalization only because family – almost always a mother – has been there to support them. What should be done in those situations? As always I don’t have clear answers. I think Latimer’s 50 day mark is valuable and should be kept in mind. One of the strongest arguments for ACT is that, from its origins, it has been researched and thus been accountable. It should continue to be. But I suggest there also be openness to exceptions; should an individual with an average of 47 days of hospitalization per year over the preceding 5 years be declined by ACT? I worked on inpatient units for for than a decade; flexible allocation of resources ain’t what hospitals specialize in. It’s good to be flexible! What are your thoughts? Should hospital use be the most important determinant for acceptance for ACT? No to cats? Not yet! ACT clinicians should know some of the theories around psychotic illnesses. For this reason it’s worth reading Andre Picard’s article in today’s Globe and Mail The family cat is not Typhoid Tabby. The possible connection between cats and schizophrenia– it’s not the cat, it’s the toxoplasmosis, a tiny parasite that many cats carry – has been posited for decades. Dr. E. Fuller Torrey, a very respected American psychiatrist, has written on this for years citing research dating back as far as 1953. Recent re-analyses have ignited new discussion. Picard is a respected Canadian public health journalist. Read his article if only to be able to reassure families that they didn’t cause their child to get schizophrenia because they had a cat. “One of the greatest privileges in our society is to have the letters MD after your name. Those two letters confer great power. And with that power comes great responsibility, to quote Voltaire – or Spider-Man, depending on your literary predilections. Read the whole thing – it’s worth it. PS: My friend – and team leader – Roman Baranowski is going to be doing not 1 but 2 presentations at the Third European Congress on Assertive Outreach – in Oslo, Norway being held June 24-26. If you’re there say hello and tell him I sent you – he’d love to meet you and to talk ACT. Delusions, especially paranoid ones, lead to violence, right? Well maybe it isn’t quite so clear. The MacArthur Study of Mental Disorder and Violence followed 1136 patients who’d been admitted to acute care psychiatric units and measured a whole slew of factors at 10 week intervals for a year. 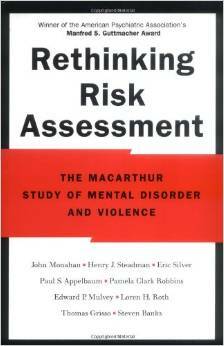 In a 2003 article Violence and mental illness: an overview Dr. Stuart writes that the MacArthur Study “stands out as the most sophisticated attempt to date to disentangle [the] complex interrelationships” between mental illness and violence. The resulting book Rethinking Risk Assessment is worth a read. Fascinating – the presence of delusions, even violent ones, did not predict violent acts. In an upcoming blogpost- MacArthur part 2: What’s the relationship between hallucinations and violence? 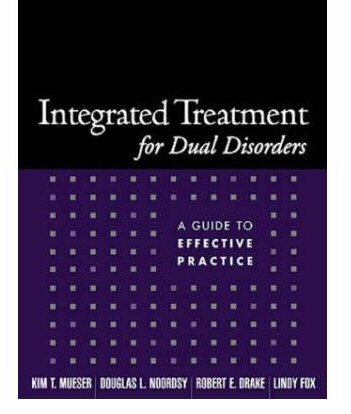 If your team doesn’t have a copy of Integrated Treatment for Dual Disorders you must, must, must get a copy. This compilation covers a slew of stuff, from the basics, to assessment, group interventions to working with families and more. It really is a necessary resource that every ACT team should have on the bookshelf. Rather than expecting clinicians to read it cover to cover use the chapters as jumping off points for education session discussions. Has your team ever tried offering persuasion groups (see Chapter 9)? How is a persuasion group different from an active treatment group? What are the problems associated with traditional twelve-step groups for clients with dual disorders (see page 187)? “At the present time, we cannot solve the problem of dissecting schizophrenia into its natural subdivisions. Nonetheless, we do have the practical need for characterizing the various clinical pictures that present themselves to us in this disease by terms corresponding, at least, rather broad and crude subdivisions. 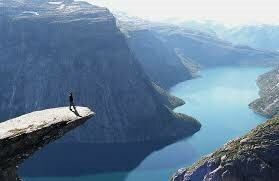 This much is possible, but not much more. The focus now is on deciphering the genetics behind what’s going on. It seems clear that whatever the genetic underpinnings there isn’t going to be a single gene responsible. Even when the genetics becomes clearer, there will still be much to sort out: How do any genetic changes result in manifestations of illness? Why is the concordance in identical twins only 40-50%? 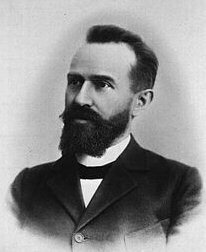 “… even in the event that all of our hypotheses should eventually prove correct, we would still be acquainted with only a very small part of all the mechanisms which are probably involved in the symptomatology of this disease. Conversely, it is obvious that at this time no one can claim to explain all or even the greater part of the symptoms. We know more than we did in 1911 but there’s so much more to learn. In the meantime those of us working in the field will need to continue to use the tools that we know work – client-centred recovery work, PSR and MI. 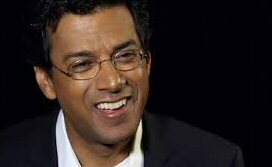 Atul Gawande is an endocrine surgeon and a great writer. His 2013 New Yorker article Slow Ideas: How Do Good Ideas Spread is about the history of anesthesia and hypothermic newborns in India. Could this have relevance to Assertive Community Treatment? It does! ACT is still very new. Well-studied and proven but still new. We need to press for more access to ACT services for only a few more decades I suspect. And that’s what Gawande is writing about – how do new ideas and new practices, take hold? Gawande writes of how trainers such as Sister Seema teach nurses in rural hospitals in India to better care for newborns. 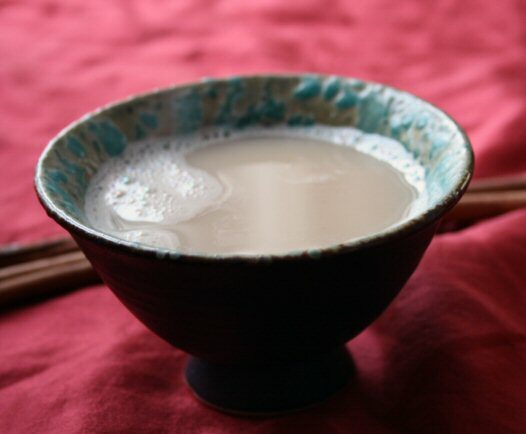 Initially, this process feels critical but over time, and over cups of chai, the conversation shifts. “When Sister Seema pointed out the discrepancy between the teaching and the practice, the nurse was put out. She gave many reasons that steps were missed… At her second and third visits, disinfection seemed more consistent. A thermometer had been found in a storage closet. But the nurse still hadn’t changed much of her own routine. By the fourth or fifth visit, their conversations had shifted. They shared cups of chai and began talking about why you must wash hands even if you wear gloves, and why checking blood pressure matters. They learned a bit about each other, too… With time, it became clearer to the nurse that Sister Seema was there only to help and to learn from the experience herself. Soon, she said, the nurse began to change. After several visits, she was taking temperatures and blood pressures properly, washing her hands, giving the necessary medications—almost everything. Many of the changes took practice for her, she said… But, step by step, Sister Seema had helped her to do it. For those of you who have the important task of being an ACT reviewer/auditor, read the whole of Gawande’s article. I’d be interested to hear what it’s like being in that role – share a comment if you have the time.